With New York City going to high alert in response to the release of a new ISIS video that sets Times Square in the terror group’s bombing or chemical-warfare sight, New York Governor Andrew M. Cuomo’s announcement last Thursday that the Metropolitan Transportation Authority and Transit Wireless have launched the Phase 4 expansion of wireless, public safety and Wi-Fi services to 21 underground subway stations in the Bronx and 16 in Manhattan, was welcomed by MTA subway users whose only umbilical cord to the outside world is their cell phone. 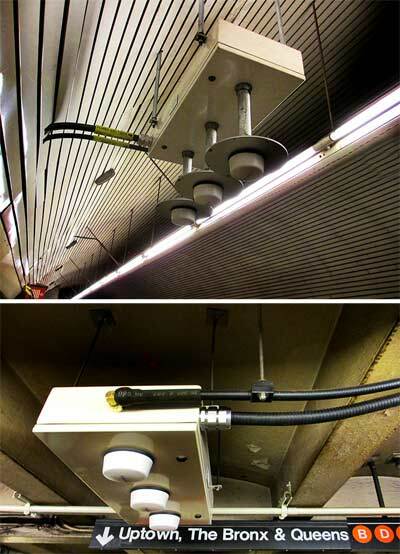 Transit Wireless has initiated design and construction work on the fifth phase of the seven-phase project to wire all 279 underground MTA stations. When completed, Phase 5 will bring another 37 stations online by mid-2016, including the first stations in Brooklyn. American Tower and Andrew Systems, among others, had bid upon the project in 2006, but Transit Wireless, now a subsidiary of a down under company, Broadcast of Australia, won the bid to put the wifi and DAS network underneath New York boroughs. The 111-year-old subway system provided many problems that are normally not encountered in the development of a DAS system.